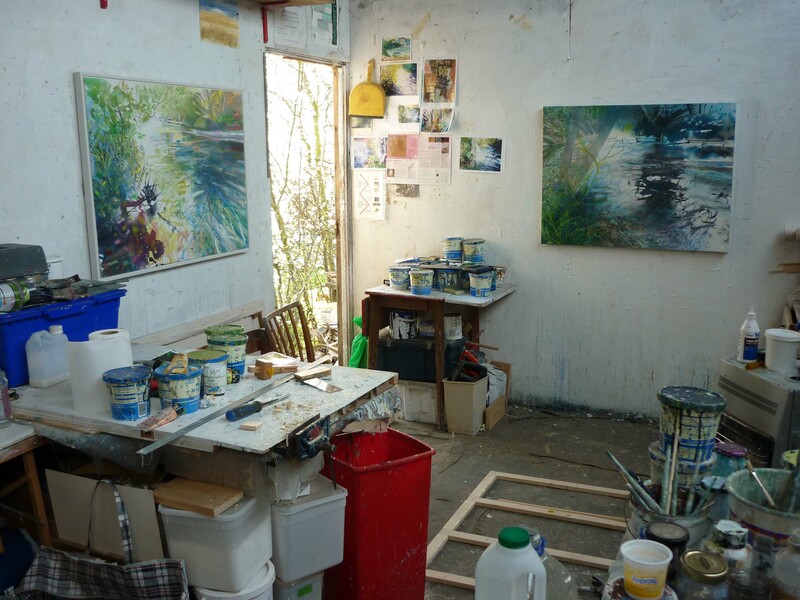 I thought I would begin my first contribution to the Rowley’s new blog by showing some images inside my studio. It is a large wooden building (35′ x 15′) that I built 25 years ago in my garden in West London after a succession of shared studios. This is now biodegrading with me. I am hoping it lasts me out! Paintings are begun with the canvas stapled to the floor. 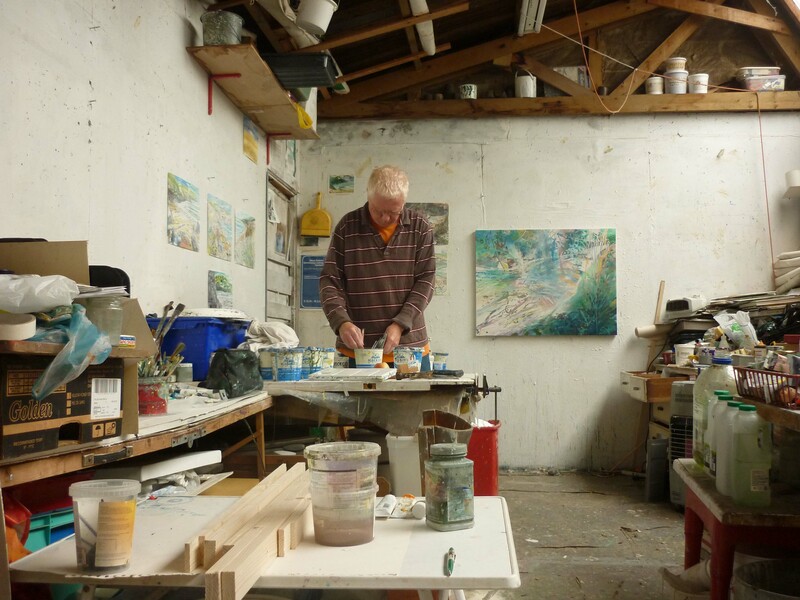 I then make a loose fluid beginning, working from photographs, drawings and memory, of the place that has inspired the painting. It is then stretched onto it’s support and from then on worked on the wall. Some paintings will progress quickly, trouble free and work in a few days. They almost seem to paint themselves. Others struggle along sometimes for weeks, sometimes ending up on the cutting room floor! Most are exhibited, but some rolled up and put out of sight for a while. 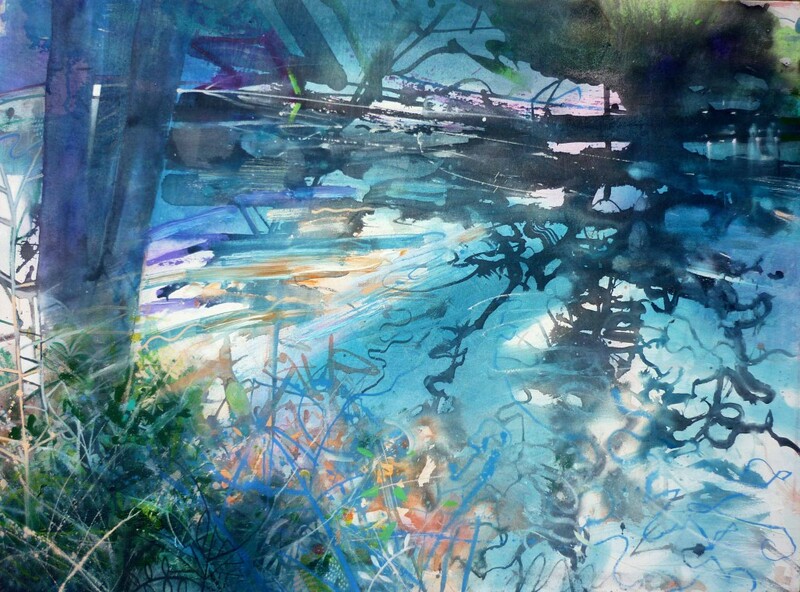 The painting shown above, at the top of this post, is Pitshanger Riverside, Light Fading and will be exhibited along with five others at the Williamson Art Gallery & Museum, Birkenhead, with the National Acrylic Painters Association during December and January. 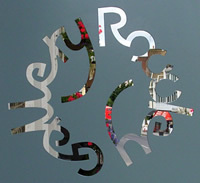 David Wiseman’s paintings can also be seen at The Rowley Gallery. This entry was posted in Art, Sheds and tagged David Wiseman, Pitshanger. Bookmark the permalink.